First October is a complicated date in Cameroon. In recent times, it has been replete with stories about troop deployment to the English-speaking parts of Cameroon and the arrest of activists of the Southern Cameroons National Council (SCNC) and members of other anglophone nationalism organisations. The period leading to this date, until last year, usually saw Anglophone elite -mainly ministers and people linked with government - travelling to their places of origin to discourage their kin and kith from gulping the seccessionist theories of the anglophone movements. I had a strange experience of this October 1 fever back in 2000. The Panos Institute West Africa (PIWA) organised a Strategic Workshop on its ICT Programme on 25-27 September 2008. The event brought together ICT experts, communication researchers, bloggers, citizen journalism organisations,and heads of journalism Schools. These are excerpts of discussions on Freedom of Expression and the development of New Media. How time flies and things stay the same in Cameroon. We are living another year when the date of the Cup of Cameroon is kept close to the President of the Republic's chest. Don't we have the right to know when this big event should take place? The MTN Elite 1 championship ended over two months ago. The finalists of the Cup of Cameroon (Aigle Dschang and cotonsport Garoua) are known since July. The date of the final remains mystery.The Ministry of Sports is allegedly stifling plans by the country's football governing body FECAFOOT to start the new season on 27 September 2008 until the Cup final is held in the presence of the President of the Republic. Cape Verde versus Cameroon: For Heaven's Sake Where Did These Guys See Nkong? 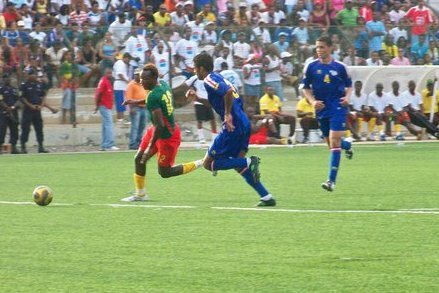 On 6 September 2008, Cameroon's Indomitable Lions beat Cape Verde 2-1 in Praia. The victory enables Cameroon to qualify to the next stage of the 2010 World Cup qualifiers. Cameroon's winning goal was scored by Somen Achoyi who came in as a substitute to earn his first national team cap in style. But by some miracle most foreign media reports said the goal was scored by Alain Nkong...? *African Traditional Medicine Day Part 2: Is Collaboration between Traditional and Biomedical Health Practitioners Possible in Cameroon? On 31 August 2008, traditional healers in Cameroon celebrated the 6th African Traditional Medicine Day. The theme for the year was “the role of traditional health practitioners in primary health care”. Prime Minister Ephraim Inoni represented Cameroon’s President at the official ceremony which was attended by Minsiters of Health in Africa and the experts from the World Health Organisation (WHO). Panel discussions were organized on traditional medicine as a primary approach to health care and Africa’s traditional medicine’s pharmaceutical manufacturing plan. 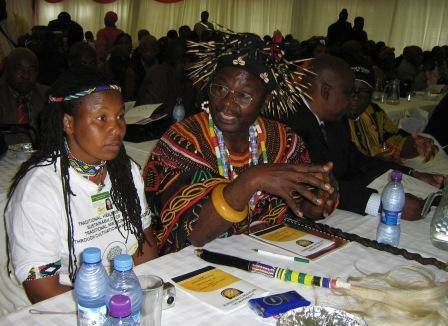 Did they discuss the lack of collaboration between traditional healers and “modern” medical practitioners? The nascent 21st century has seen poverty across the world. It has also witnessed the re-emergence of some diseases (e.g. tuberculosis) and the difficulty to find permanent solutions to health care challenges like malaria, river blindness and HIV/AIDS. By defining priority health care programmes in areas like HIV/AIDS, malaria, tuberculosis and immunisation, Cameroon’s government seems determined to provide good health for its citizens. However, for such priority health programmes to be effective in such an under-developed and poor country, it is essential that there is adequate collaboration between traditional healers, biomedical practitioners and health authorities.